As much as yoga is beneficial, it has it’s shortcomings too. Especially for beginners doing yoga by themselves, and have no idea what they are getting themselves into. It’s good to read articles on how to do yoga by yourself, but make sure to read the risks that come with it. OVERSTRETCHING. Just because your body can’t reach the limit you want it to, doesn’t mean you are weak. We all have different limitations and you need not do poses exactly as you saw the instructor do it on youtube! Yoga is all about relaxing your muscles and being in sync with our inner self. You can’t do that if you force your muscles beyond it’s limit. So do one thing, if you feel your muscles straining a little too much for comfort during exercise, STOP! PULLING A MUSCLE. Pulling a muscle during yoga is very common. It is mostly as a result of overstretching. 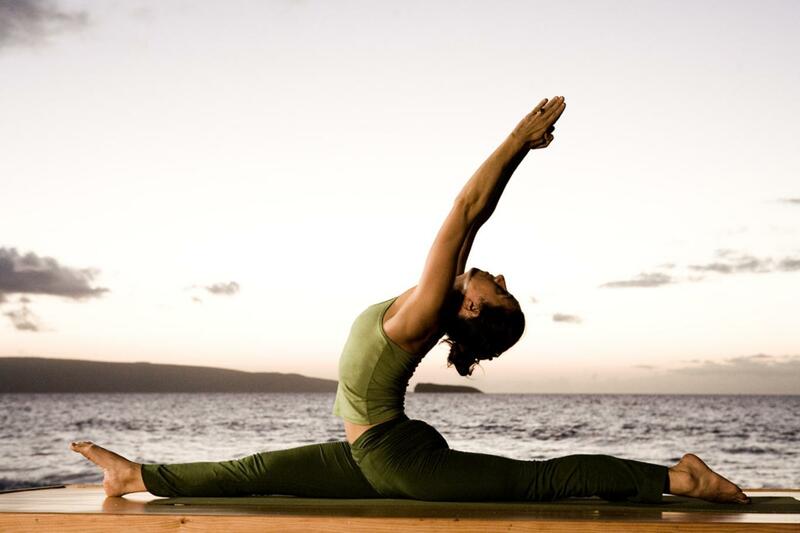 But also when doing poses like the forward-bend pose, the triangle pose or the warrior pose. To prevent pulling your muscles during these poses, again, don’t overdo it. SLIPPING. Yoga is a form of exercise. And like all exercises, you sweat a lot! And we all know how slippery sweat can be. It’s not a problem when you are running, but due the awkward poses you get into during yoga, your sweat can be very dangerous. Sweaty palms during the headstand pose on a slippery yoga mat can send you sprawling on the floor before you can even blink. So make sure you get yoga mats that are not slippery. Those ones that are made of rubber? Yeah! DEHYDRATION. Avoid heated yoga studios as much as you can. They can be really hot and stuffy. And that heat coupled with your body heat is just an explosion of heat waiting to happen! And a lot of sweating, leading to dehydration. But if you can’t avoid being in those studios, make sure that when you feel yourself getting dizzy during exercise, step outside for some cool and fresh air and drink some water. It helps. BREAKING YOUR NECK. Most yoga poses requires you to stand upside down. Beginners tend to put all of their weight on their neck when they stand on their heads. Don’t do that! Instead, you should disperse your weight on your shoulders and arms. You can also use padding or blankets to support your shoulders. As they say, better safe than sorry! Posted on 20th October 2015 by Ida S.. This entry was posted in Yoga and tagged exercise, healthy lifestyle dubai, yoga. Bookmark the permalink.